In the latest few seasons the American baritone has enjoyed great success in the Wagner repertoire as well. Crested Butte Music festival will host Mr Thomas as Artist in Residence as he sings the title role of Verd’s Falstaff. In the fall of 2018, he will sing the title role of Fliegende Holländer for the Shanghai Opera. He was additionally invited to be a featured artist in a Wagner Gala Concert, also with the Shanghai Opera Orchestra. In October he bows once again with Opera Omaha as Tonio in I Pagliacci. The 2017-2018 seasons promises to be another exciting and season for Todd Thomas. 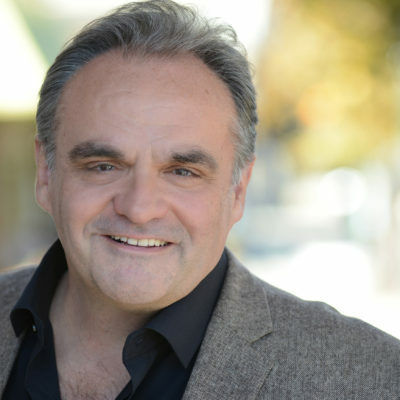 As a highly sought after Verdi Baritone, he made yet another appearance with the Lyrics Opera of Chicago earlier this season with a production of Rigoletto. In early 2018 he continues with Verdi, with Syracuse Opera in La Traviata. Most exciting will be his role debut as the title role in Fliegende Holländer by Richard Wagner at Theater Erfurt. He is particularly eager to return to Thüringen following his triumph last summer in the Domstuffen Festspiel production of Il Trovatore. It is clear to see the baritone continues to thrill and move audiences throughout his international operatic career. Todd, originally from Elmira, New York makes his home in Philadelphia, PA with his wife of 26 years, Lisa Helmel Thomas. They have four children, Lydia, Gabriela, Samuel and Noah. He earned a Bachelor of Music degree in Vocal Performance and a Master of Music degree in Opera Theatre for the Oberlin Conservatory of Music. Mr. Thomas encourages young singers to find a connection with their endowed musical gifts as a guest master teacher and clinician. In addition to his active singing career, in 2013 he formed the Todd Thomas Music Scholarship. The scholarship awards cash prizes to deserving graduating high school seniors from Chemung County embarking on their college careers in the full time study of music based curriculum.